The Right Boat at the Right Price! Blowout Sale! The greatest part of summer is that on the weekends you can take advantage of nature and make incredible memories with your family and friends. Our favorite way to make memories is to take out our boats on the lake and relax out on the water. You can ask anyone, a seasoned boater, or someone new to boating, the right boat makes for the best memories. Some people like to look on Craigslist for a super steal on a boat, but are those boats worth the money? People have shared with us some of their horror stories about buying used boats through the Internet. We had a really nice guy contact us about a boat that he had recently purchased. He told us that the boat looked super clean on the outside and that he was just super excited because he couldn’t believe the price he had paid for it. Well sure enough the seller hadn’t mentioned that the boat had previously sunk and the tower had been ripped off. When we saw the boat we immediately noticed that the boat looked like it was salvaged and patched up. At Memphis Boat Center, we will NEVER let our customers go through something like that! So, we have decided to clearance all our BRAND NEW RINKERS and are selling them at Used prices will full factory warranties so you can breathe easy at the lake and enjoy stress free, worry free weekends on the water! 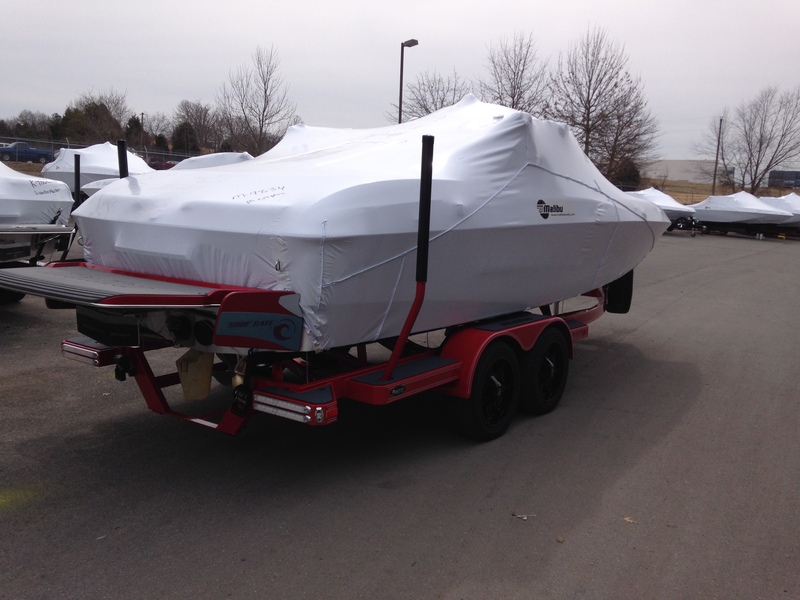 The Rinker Family of boats that we have to offer deliver extreme quality and value for the price! If you compare our boats to any of our competitors of bow riders you will see that they are very well equipped boats. Come by today to see our great selection and awesome prices! As low as $25,995 NEW!!! If you are looking for a boat to go out on the water with your family and cruise around, do a little tubing, skiing, or wakeboarding, but you do not want a big boat or a big price tag we have the perfect boat for you! Starting as low as $25,995 this boat has a 4.3 liter V6 that delivers power and fuel efficiency saving you money every time that you use it! The boat comes fully equiped including a spare tire for the trailer? does the other boat you are looking at come with a trailer? a spare? make sure you ask! If you like big boats for big lakes like Pickwick lake in Tennessee, you will find that a 27 foot boat is a must! but how many fully equipped boats are priced at $60,995? that is over $22,000 OFF MSRP! We must be Crazy!!! 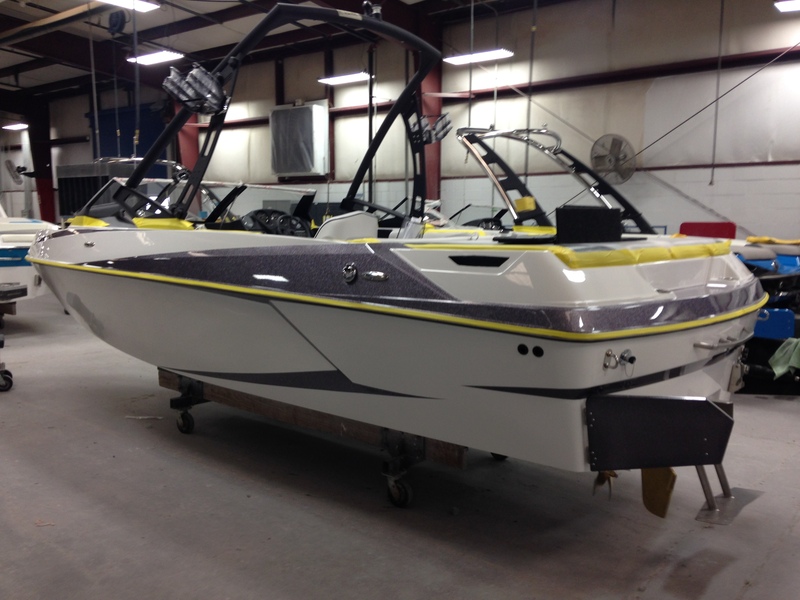 These are brand new boats at Blowout Prices! We encourage you to seriously research this boats competitors and see how much more you will have to pay for a boat that is half equipped as this boat. Choppy waves on the lake on a busy weekend? Once behind the wheel behind this bad boy you will never call it choppy water again, it will just be water since this boat cuts through water like butter delivering one of the smoothest boats in the industry! with a 300 Horsepower V-8 Engine you will smile every time you throttle up as you hear the engine rev up like a muscle car. Are you looking for a great all-around boat that will perform well as a every day lake cruiser, but will also pull your son and his friends when they want to wakeboard, ski or tube, look no further! 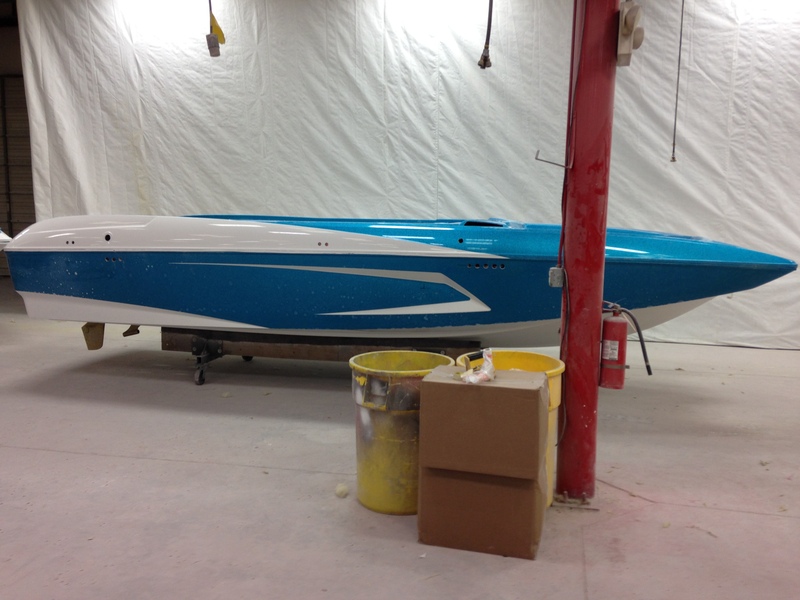 This 23 foot boat is equipped with Perfect Pass which allows you to stay a speed that the boat will maintain no matter how hard the wakeboarder or skiers cuts behind the boat. The tower allows you to get higher air off the wake and perform more advance tricks. this boat is completely designed for the family who likes to do everything on the water! and its only $49,995 that is over $17,000 thousand in savings!!! the boat is equipped with a tandem axle trailer with a spare as well! 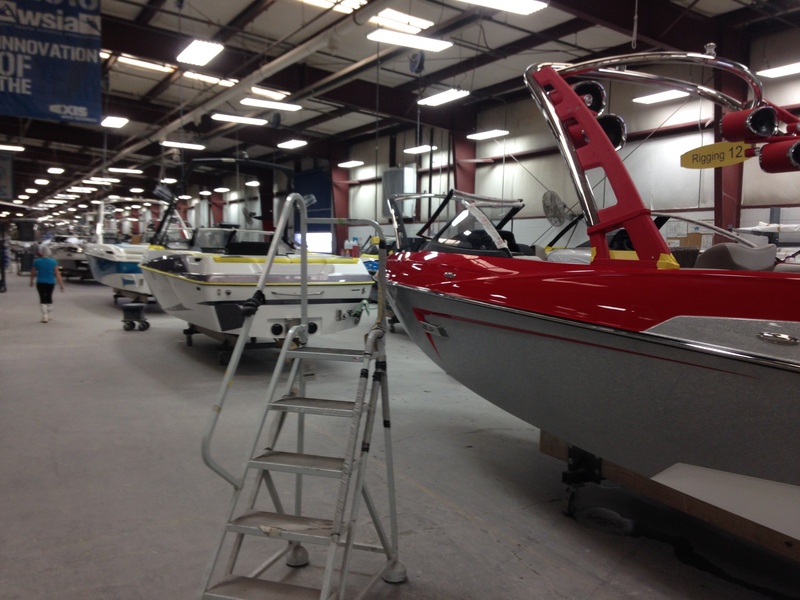 Come on in to Memphis Boat Center and see all the incredible ringers and the blowout prices we have them at! These boats will never leave you stranded on the water! 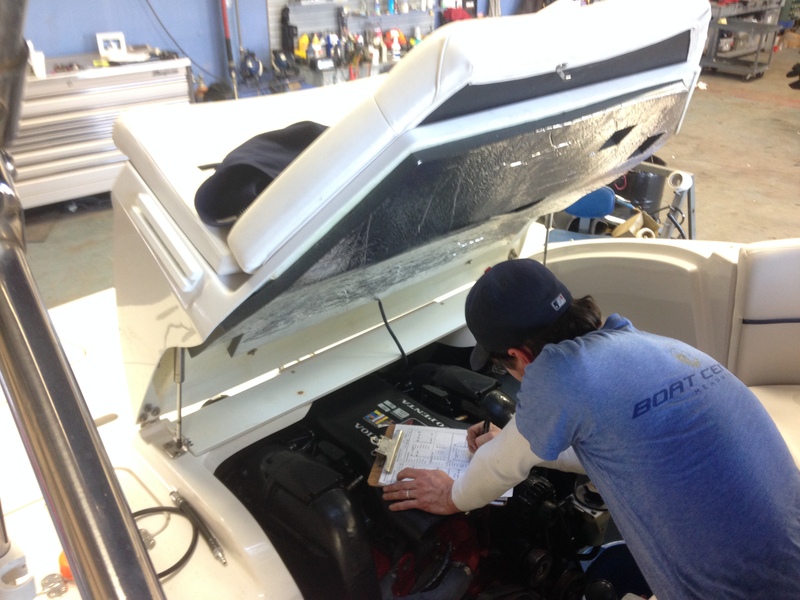 These boats come with full warranty and you also get the greatest service technicians in the Mid-South! 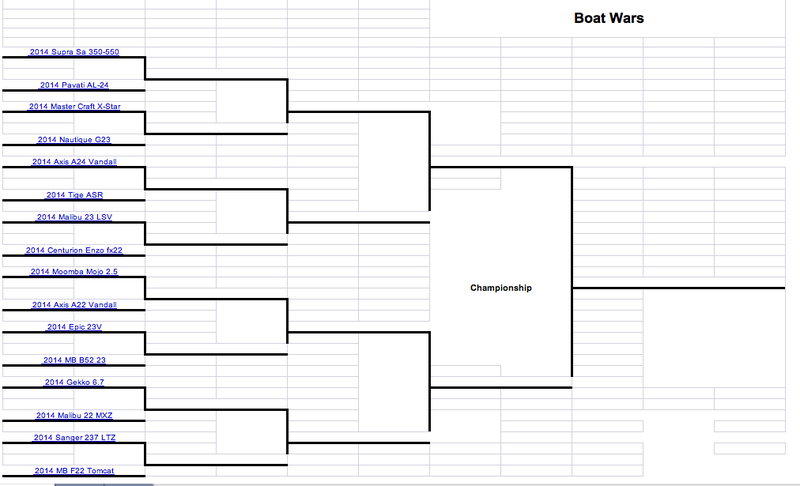 The Best Wakeboard Boat Bracketology! Let the Best Boat Win!!! Here at Memphis Boat Center we have embraced the NCAA Mens Basketball Bracket challenge and decided that it would be an awesome idea to let our customers engage in our own Bracket Challenge for a chance to win a Memphis Boat Center T-Shirt and Yeti Bottle Opener! Click Here to Download your bracket now!!! We gave our bracket to all our employees and let all of them fill it out. we graded all the brackets and compared them together. we graded each battle and the majority of each winner was put on out “Master Bracket” The Master Bracket was Finalized and a winner was announced. The First Person To email your bracket back to us that matches our “Master Bracket” wins the Prize! Do your research on each boat! Which boats are the best bang for your money? what boat was your winner? Was it and Axis? A Malibu? If it was, we invite you to come on in to Memphis Boat Center or your nearest dealer and let us work with you and build you the boat of your dreams or choose from our wide selection of our Axis and Malibu line up that fits your budget and lifestyle. This week we interviewed Enrique Martinez about his experience at the Malibu/Axis Factory. Memphis Boat Center. Q.) First things first, was it worth the drive from Memphis? Enrique Martinez. A.) What Drive? (Enrique chuckles) I honestly didn’t think anything of the drive. I left early in the morning and next thing i knew i was passing Nashville. I stopped for Fuel and next thing i know i was at the factory. On the way back, my mind was racing the same way a kids mind races after leaving Disneyland while repeating “that was awesome!” over and over. I promise you wont even notice the drive. Q.) What was your first impression of the factory? A.) One word, Impressive! It really is interesting seeing how much dedication each worker puts into each boat. It really impressed me how the majority if the building process focusses on quality control. 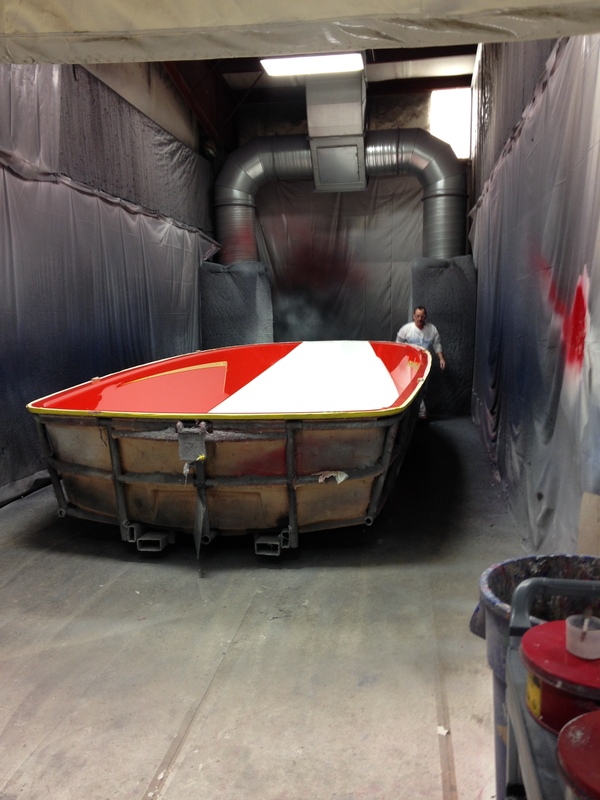 The boats have to be perfect, if not, the factory will not release it. Q.) What was the biggest shocker during the tour. A.) Usually when you think of engineers, you think of people behind a computer doing research and development. 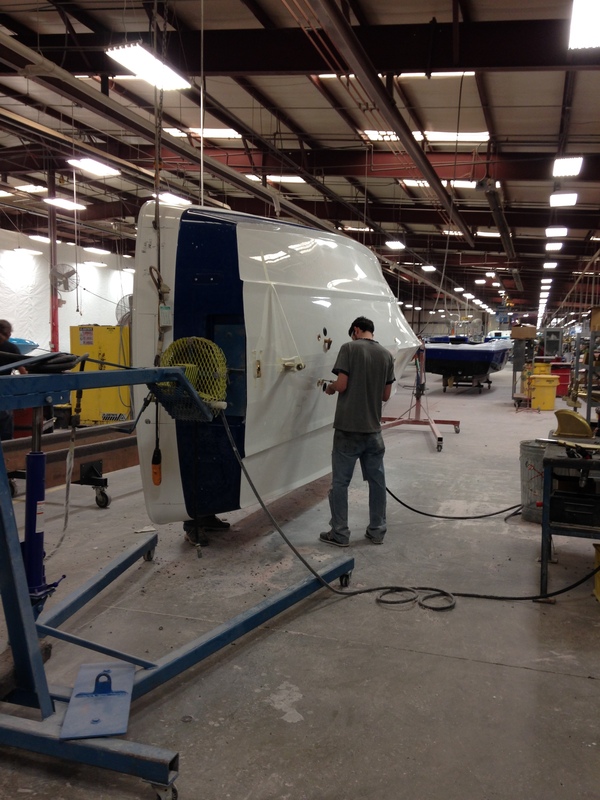 What amazed me about the Malibu engineers is that they are at each station of the factory making sure things are being build properly, testing, researching, and figuring out ways to make the boat better each day. The team of 12 engineers have developed the best boats in the industry hands down. Q.) Can you describe the feeling of walking through the plant? A.) I guess the best way to describe the feeling is to compare it to the movie Charlie and the Chocolate Factory. The whole time i was dumbstruck and in awe by every station of the building process. Suddenly you are hit with a strong urge to touch all the boats and call them “my precious”, when suddenly you remember that the tour guide is in the middle of explaining to you something and you wondered off in daydreams. You then compose yourself, wipe off the drool, and keep learning about the building process. Q.) What was it like to see the new 22MXZ for the first time? A.) Man, i had to play it cool, specially since there was a ton of people around. I had to sign for the boat and get all the paper work, so on the outside i looked pretty normal. On the inside, well that is a completely different story. My mind was like a Michael Jackson music video hyped up on energy drinks. There was some moon walking, loud high pitched screams, ton of jumping up and down, doing the splits (i pictured Jimmy Fallon doing the splits and completely failing), and even some Thriller action. My face still hurts from smiling so much. Q.) Would you recommend the tour to anyone looking for a new boat? A.) Yes! If you ever have the chance to take a weekend trip to the Knoxville area, stopping at the Malibu factory for a tour is a must! You will never see boats the same way!